With superlative vocals and musicianship, dynamic enthusiasm and a genuine love of the music they perform, The Bronx Wanderers recreate the magic of an era. They build an energetic bond with their audience, guaranteeing an evening of toe-tapping, hand-clapping and dancing in the aisles. Return to a time when the songs made your dreams soar and the beat of the music matched the rhythm of your heart. 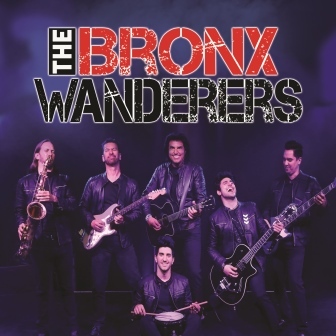 The Bronx Wanderers will take you on the rock 'n' roll journey you once knew and will NEVER forget. The Great American songbook spanning the pop/rock classics of six decades comes alive every night. The show covers all musical bases and hits an out-of-the-park home run with audiences of all ages every night." It's the BEST evening of rock 'n' roll you will ever experience.